If you are a sports club, you can use our tournament tracker to record competitions that your club holds. This can save on paperwork, which can be costly to produce. 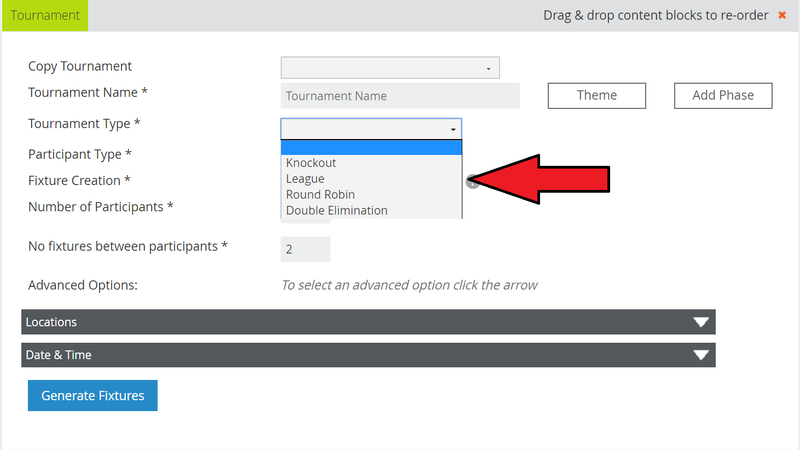 From the page editing screen, select the Tournament content block. 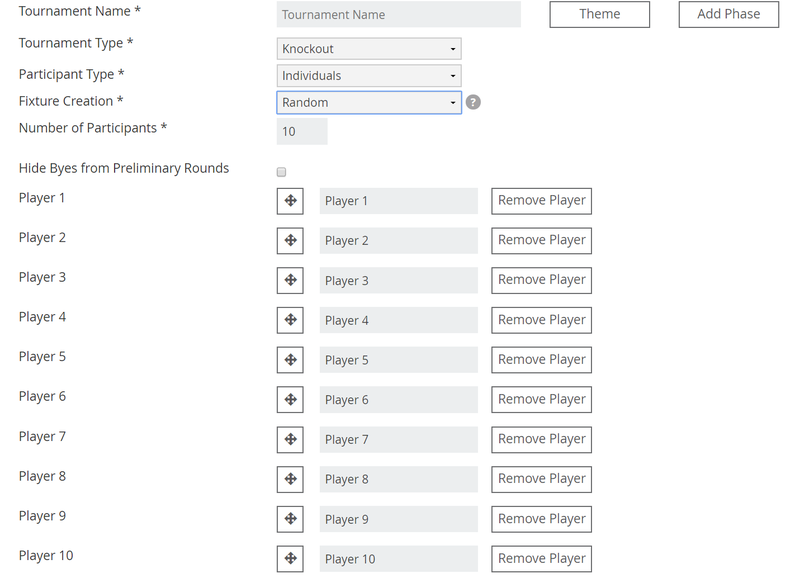 This will bring up the Tournament set-up screen. 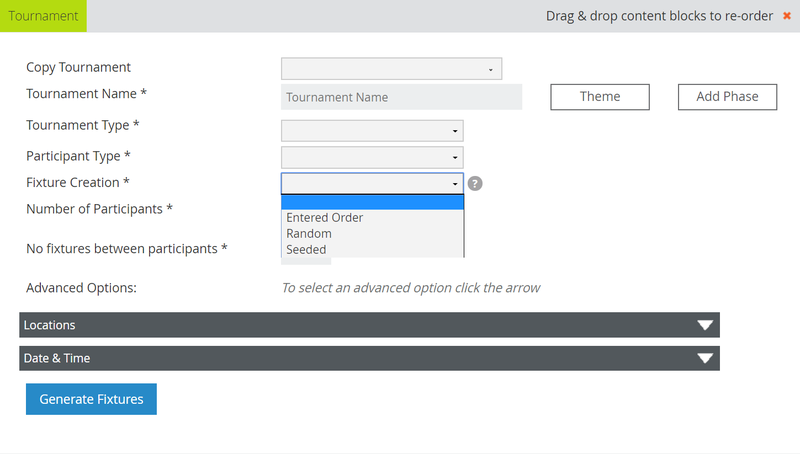 From here, you can enter the name of the tournament you wish to run. 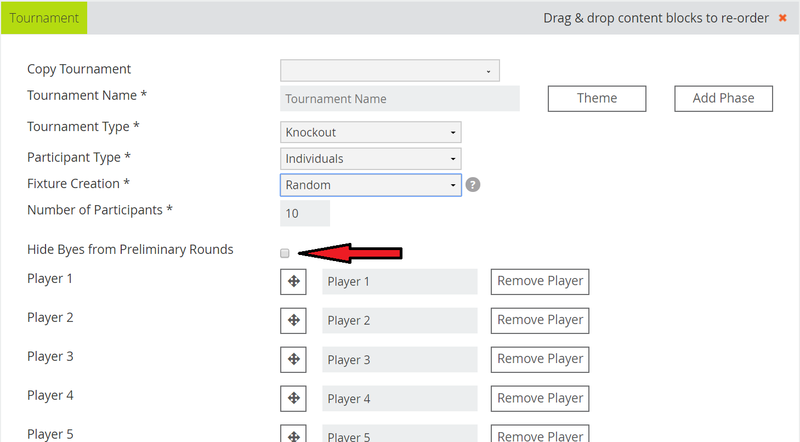 There are four types of tournament you can add. Knockout is for a simple straight knockout tournament. League is for a simple league competition. Round Robin is a competition where everyone plays each other a set number of times in a group format. Double Elimination is a format where a participant is eliminated after losing two matches. You can then decide who competes in this tournament. You can select from Individuals, Teams and Pairs. Next, you have to select how the draw for your competition will be conducted. 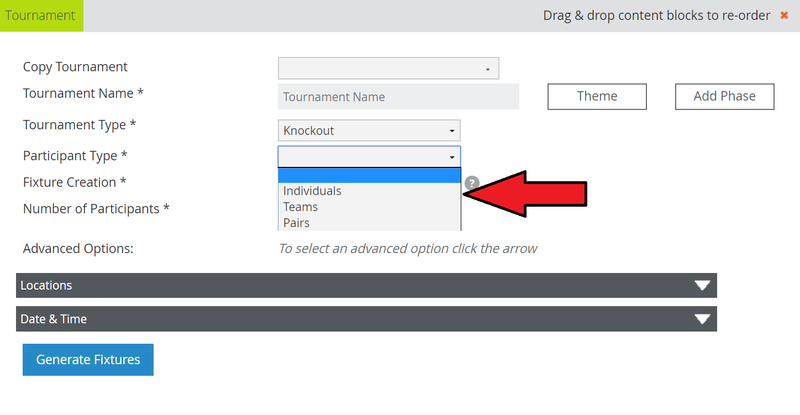 You can choose from the Entered order, a Random ordering, or a Seeded system. Finally, you need to enter the number of participants for the tournament. As you enter the number into the form, spaces will appear for you to enter the player or team names of those who are taking part. You can also choose whether to have 'bye' players or not by selecting the box shown. You can now add extra information, such as the number of clubs and locations, and the date and time of fixtures. 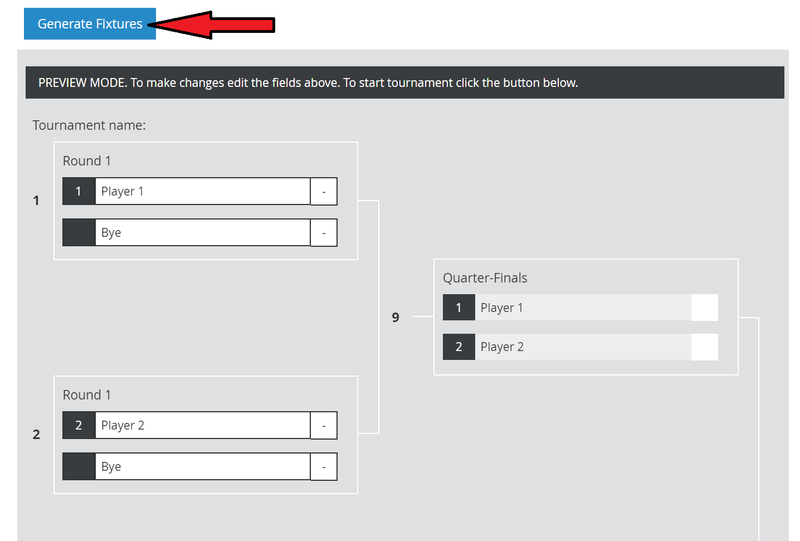 When you are ready to create your tournament, click on "Generate Fixtures" and you'll see your tournament on the page. If you need any further assistance, please contact us and we will try our best to help you.